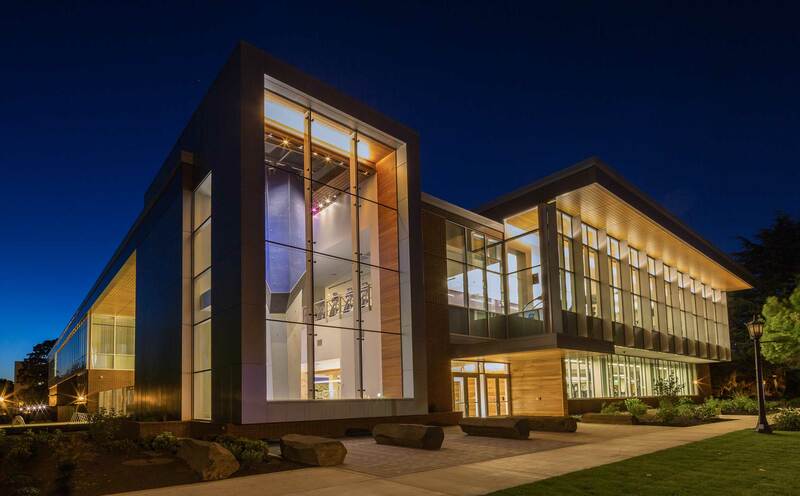 The new Recreation and Wellness Center at the University of Portland supports a variety of fitness activities during cold, rainy Oregon winters. The project features a highly integrated presentation of architecture and lighting. For example, we integrated canopy uplighting into the window mullions, so that the building appears to glow from within, without visible facade lighting fixtures. 360 Architecture (now HOK).